So, you´re stopping off in one of the best cities in the world and have a mere 24 hours to savor the sights, sounds and tastes of Catalonia´s capital. Fear not, we´ve compiled some suggestions for what to do in Barcelona in one day to ensure you don´t miss out on any of the best bits. Barcelona´s public transport network is efficient and super easy to navigate. If you (and your travelling companion) and planning to take several journeys either by bus or metro throughout your brief stay, we recommend buying a T10 travel card from any metro station. A T10 for zone one comes in at just under 10 Euro and one ticket can be used by multiple people on both the metro and buses for 10 journeys around the city. However, if you´re planning to get around mainly on foot as per our recommended route, a single journey will only set you back €2.15 so this could be your best option. 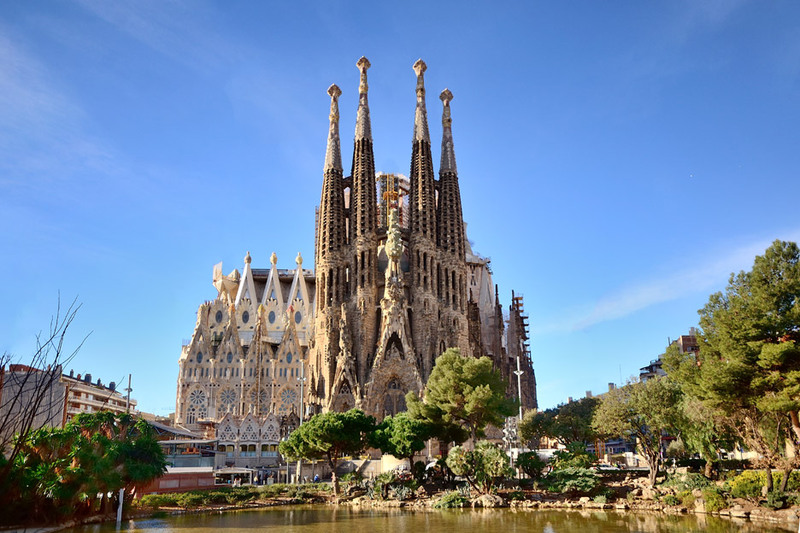 Our ´What to do in Barcelona in one day´ route starts off at La Sagrada Família where you can marvel Antoni Gaudí’s most impressive piece of work. This spectacular building is easily accessible by metro or bus and is well worth a visit. If you are pressed for time, you could simply admire the cathedral from outside, but for those keen to enter, we strongly recommend buying tickets online in advance to avoid the lengthy queues http://www.sagradafamilia.org/en/tickets/. After that, hop on the metro (L5) until the stop Diagonal. From here, head down one of the city’s most emblematic streets, Passeig de Gràcia, where you’ll find some of Barcelona’s best examples of modernist buildings. This grand street, akin to an open-air architectural museum, will take you past some of Gaudi´s best known works, including La Pedrera, La Casa Amatller or Casa Batlló until you reach Plaça Catalunya. Plaça Catalunya backs onto Barcelona´s most famous street, La Rambla, famed for its lively atmosphere, street performers, resident artists, cafes, bars and restaurants. A gentle stroll down La Rambla will take you past some of Barcelona´s most iconic buildings and structures, such as the beautiful market La Boqueria and el Gran Teatre del Liceu. La Boqueria is an explosion of colour and smells and is an absolute must for any foodies. Simply peruse the food stalls and soak up the atmosphere or pull up a chair at one of the bars and order yourself a coffee or some Cava and tapas. Slightly further down La Rambla is the El Gran Teatre del Liceu (Barcelona´s opera house), which was founded in 1847. 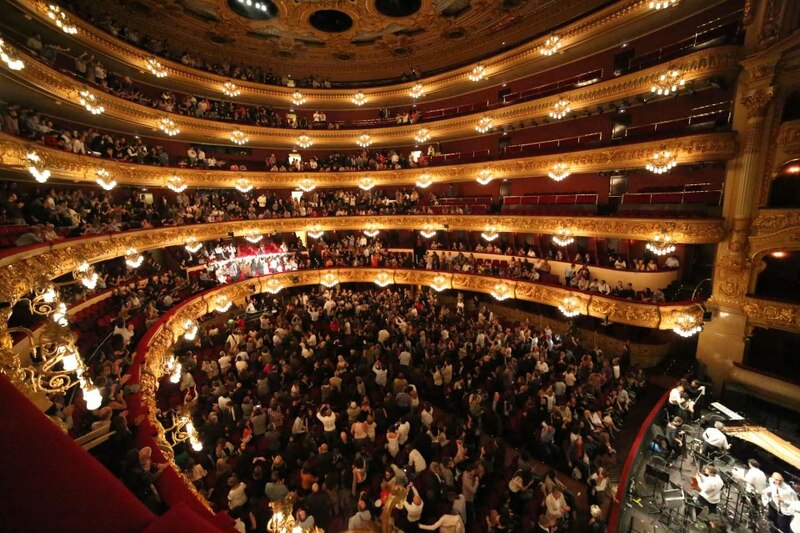 Once you reach El Teatre del Liceu, turn left down the street Carrer de la Palla until you reach the Cathedral square. 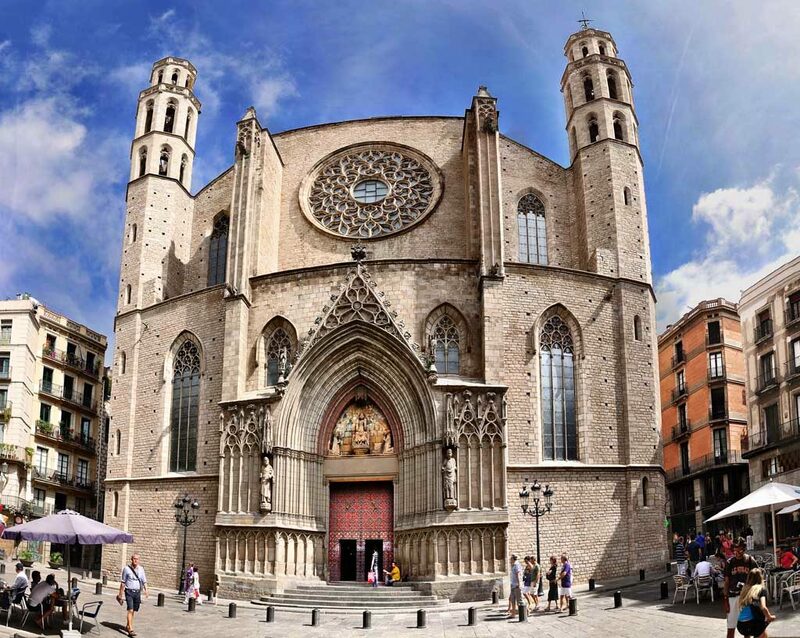 Barcelona´s beautiful cathedral is as impressive from the inside as it is the outside so make sure you step in and admire its Gothic and Baroque features from up close! Next, make your way into the adjoining cloister. This secluded area is a peaceful haven away from the hustle and bustle of the Gothic quarter´s streets and is dedicated to the city´s co-patron saint, Saint Eulàlia of Barcelona who lost her life during the Roman era after refusing to dismiss Jesus as the son of God. In her honour, the cloister still keeps 13 white geese (Eulàlia´s age at the time of her death). Next up on our ´What to do in Barcelona in 1 day´ tour, we suggest you walk down Via Laietana until you reach the street Jaume I. Once on Jaume I, turn left to behold Plaça Sant Jaume and the old Roman walls that once encompassed the city formerly known as Barcino. From here, get back on Via Laietana until you reach the charming Carrer de l’Argentería, which will take you down to the beautiful church of Santa María del Mar (made famous throughout the world thanks to Ildefonso Falcones´ novel Cathedral of the Sea). After a busy morning, you´ll be in need of some lunchtime sustenance and when in Barcelona that can only mean one thing; Paella! Right by Santa Maria del Mal you´ll find Passeig del Born which is home to La Vinya del Senyor which serves up a mouthwateringly delicious paella. Here you´ll also find several delightful tapas spots. 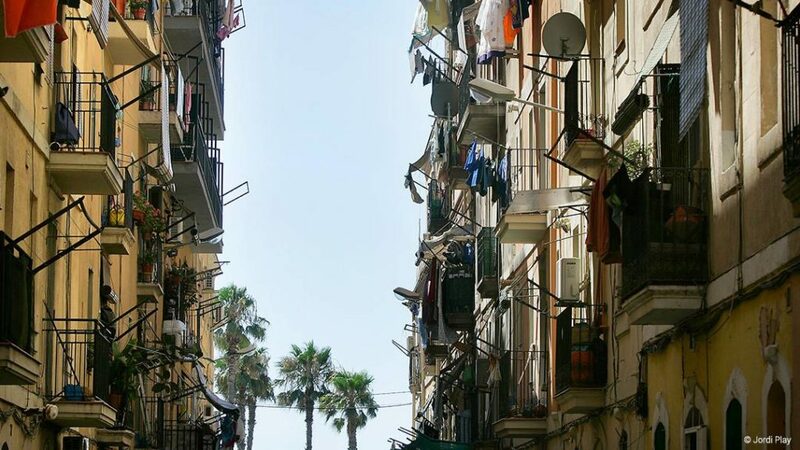 After you´ve filled your boots, walk off the post-lunchtime slump in Barcelona´s old fishing quarter, La Barceloneta. Head to the street Palau de Mar and then make your way down Passeig de Joan Borbó until you reach the city beach of Sant Sebastià. You´ll also notice lots of restaurants along the way. Our particular favourite is La Mar Salada where they serve up on of the best paellas in Barcelona. Download now TomaBida! Shall we get a drink? So there you have it – an action-packed itinerary for what to do in Barcelona in 1 day. We hope you enjoy your short stay! And, if you are looking for accommodation, remember that here at Bizflats we have apartments which are guaranteed to make your time in Barcelona unforgettable.